Dave is a founding partner in the Dairy Business Consulting group. 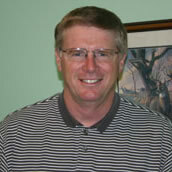 Since 1988, Dave has been involved in providing extensive individualized consulting to owners of dairy operations. These services include detailed business plans, monitoring and analysis, benchmarking, expansion planning, transition planning and workout scenarios. Dave finds a key element in his consulting services is being present on the farm for meetings with owners and working together with other support professionals involved in the dairy operation. Dave graduated from the University of Minnesota with degrees in Production Agriculture, Agricultural Education/Farm Business Management. He taught high school agriculture for four years before joining Land O’Lakes in 1988. Dave spent the first four years with Land O’Lakes in the area of nutrition consulting and sales and then became part of the Dairy Business Services group which provided fee based consulting to dairy operations in the areas of nutrition, expansion planning, business budgeting and monitoring, employee management and milk quality services. In 2003, Dave left Land O’Lakes and started Dairy Business Consulting, Inc. where he continues to provide consulting services to a broad range of dairy operations focusing on business management services. 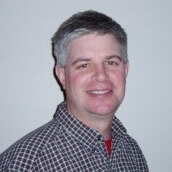 Dave is a member of Professional Dairy Producers of Wisconsin (PDPW) and of Dairy Business Association (DBA). Dave has been involved in speaking engagements to various agricultural organizations on farm management related topics. He and his wife Peggy, along with their children, live near Osseo, Wisconsin. Mike is the owner/manager of Cypher Dairy Consulting, LLC in Hartford, South Dakota. He brought over 30 years of experience in the dairy industry to the group when he joined Dairy Business Consulting in 2007. Mike provides his clients with financial planning and monitoring, cost of production analysis, facility design and use, labor management, marketing, on-farm accounting applications, production management, and transition to the next generation planning. Mike earned his Dairy Science degree from South Dakota State University. He began his career as an Extension Agent for the South Dakota Extension Service. Mike then took a position with Land O’Lakes in Milk Quality as a Dairy Field Rep. He was in this position for six years, three of those years having been a Milk Receiving Station Manager. Mike then spent six years as a Dairy Production Consultant (nutrition consulting) and then over 20 years as a Dairy Business Specialist. 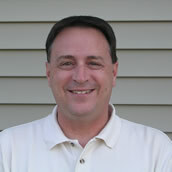 Mike retired from Land O’Lakes and started Cypher Dairy Consulting, LLC in 2007. Mike’s accomplishments include the planning, design, and completion of dairies ranging in size from 350 to 1800 cows. He currently works with herds from 350 to 2,000 cows. Mike also is a Large Herd Professional, being a graduate of the “Hands-on” Large Herd Professional Dairy Training Program. Mike is available for speaking engagements and producer meetings. He is on the Board of Directors for South Dakota Dairy Producers, and is a member of the Minnehaha County Planning and Zoning Commission. He is also a member of the Professional Dairy Producers of Wisconsin (PDPW). Mike lives with his wife Eileen in Hartford, South Dakota, and has three sons and three grandchildren. 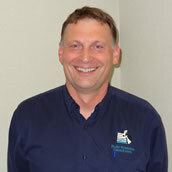 Jeff has been a professional in the dairy industry for over 25 years. He is the owner of JMS Dairy Business Consulting, LLC and is an original partner of the Dairy Business Consulting group. Jeff prides himself on his ability to establish strong ongoing relationships with his clients. Many of his existing dairies began as expansion projects that transitioned into ongoing business consulting clients. Jeff provides his producers with forward business planning, including balance sheets, cash flows, animal projections, feed budgets, marketing, capital purchases, benchmarking, and assistance in transition planning, all being geared toward the direction and goals of the dairy. He is an active part of monthly on-farm meetings involving bankers, vets, nutritionists, and agronomists. Jeff graduated in 1986 from UW River Falls with a Bachelor of Science degree in Animal Science/Dairy Emphasis and a Farm Management minor. He worked for Land O’Lakes as a Livestock Production Specialist for two years, and then held a similar position with Pine Island Farmers Elevator in Pine Island, Minnesota for eight years. In this position, he was responsible for on-farm sales and consulting on dairy feeds. In 1996, Jeff returned to Land O’Lakes as a Dairy Business Associate. This consulting position included expansion planning, engineering, construction management, and new facility start up. From 1999-2003, Jeff worked as a Dairy Business Specialist, expanding the above position to include financial feasibility, business planning, and labor management. Jeff left Land O’Lakes in 2003 and started JMS Dairy Business Consulting, LLC. He works with 25-30 dairies ranging in size from 250 to 1800 cows. Jeff is a member of the Dairy Business Association (DBA) and the Professional Dairy Producers of Wisconsin (PDPW). He enjoys reading, hunting, fishing, and golfing. Jeff and his wife Mary live in Belleville, Wisconsin. They have two adult sons. Dan is a founding partner of the Dairy Business Consulting group. He has been working in the dairy industry since 1986 and has been a consultant working with large modern dairies since 1990. Dan provides financial and business management services to dairy farms including budgeting and monitoring, analysis, benchmarking, expansion planning, workout scenarios, and expert witness consulting. He also helps his clients with on farm communication, farm transfer preparation, and advisory team meetings. Dan was born and raised on a dairy farm in Manitowoc County, Wisconsin. He graduated with honors from the University of Wisconsin – Madison with a Bachelor of Science Degree in Dairy Science and Agricultural Economics. From 1986 to 1990 Dan was a nutritionist with Land O’ Lakes. From 1990 to 1999 he focused on financial and production consulting for Land O’ Lakes and in 1999 he became a Dairy Business Specialist in the Dairy Development Department. In 2003, Dan left Land O’ Lakes and started Wenzel Dairy Business Consulting, LLC which he owns and operates today. Currently, Dan works with about 40 contracted clients on an ongoing basis in the area of financial and business management. He has worked with some of the same clients for almost 25 years. Dan is member of the Dairy Business Association (DBA), Professional Dairy Producers of Wisconsin (PDPW), and the Wisconsin Association of Professional Ag Consultants (WAPAC). He has also been very active in his community. He has spent several years on the Most Precious Blood School Board. Dan has coached all levels of boys and girls youth basketball for over 25 years and was a founding member of the boy’s New London Fast Break Basketball Club and the New London Girl’s Youth Basketball Association. He was a volunteer youth basketball league commissioner for many years and grew the league to over 1100 youth participants. In addition, he has spent many years coaching AAU basketball with players from throughout the state of Wisconsin at the high school and middle school level. Dan resides in New London, WI with his wife Tracey and their three children.